I have been enjoying my last few times in the toolset more than I have for some time. Not because I don't enjoy building, but because I have had both a different (read "fresh") part to work on, and new tools to do that work with. 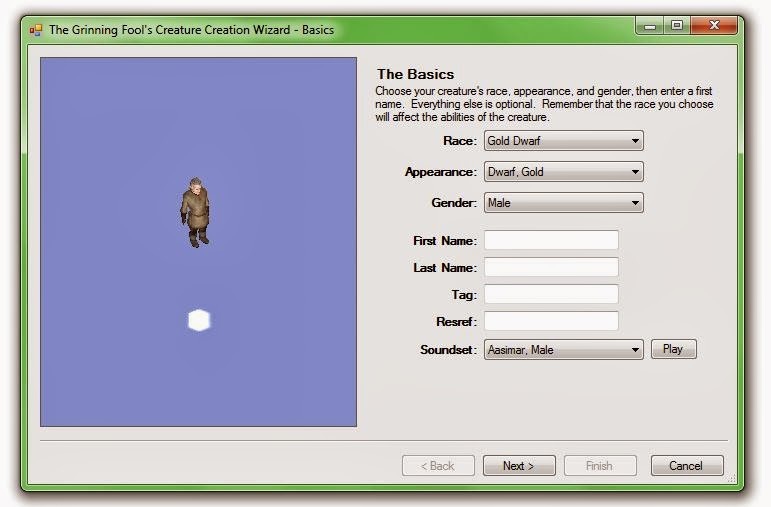 First off, after experiencing the official toolset's Appearance Wizard crash on me for the umpteenth time, I was introduced to Grinning Fools Creature Creation Wizard, and finally have an easier way of producing clothed creatures. 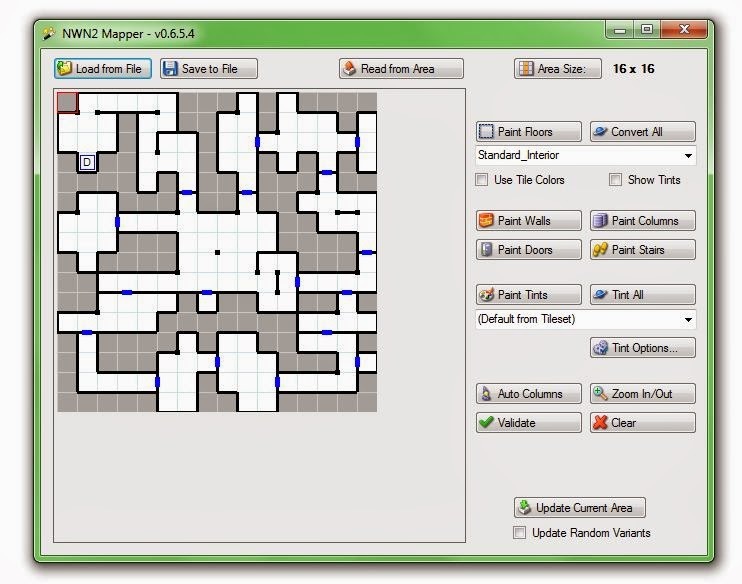 And it was while I had been reviewing and downloading this plugin that I noticed that a favourite of mine, the NWN2 Mapper plugin had also been revamped to work with the latest patched version of NWN2. Yes, I know according to the dates these were done some time ago, but I only just found out about them again. It's quite surprising how having a couple of additional tools to help with creation can add a new spruce of life/interest in getting on with a project. An Appearance Wizard that does not crash NWN2 - Yeh! Look! It looks like a map I used to do in the good old pen and paper days! I have been making requests for help with a couple of things in the Bioware forums, such as "portly" NPCs and "Ghost VFXs", and a few people have been putting forward and working on ideas. Eguintir is working on the "portly" models, and so knowing his work, that should yield some good results sooner than later. As for the Ghost VFX's, I have also been given some ideas on how to approach this, but as there are others also looking at doing something with this for me, I will leave my own investigations unless I really need to. Instead, I will spend the time continuing to finish the latest quests I started last time I blogged. More Progress ... More Areas Though!